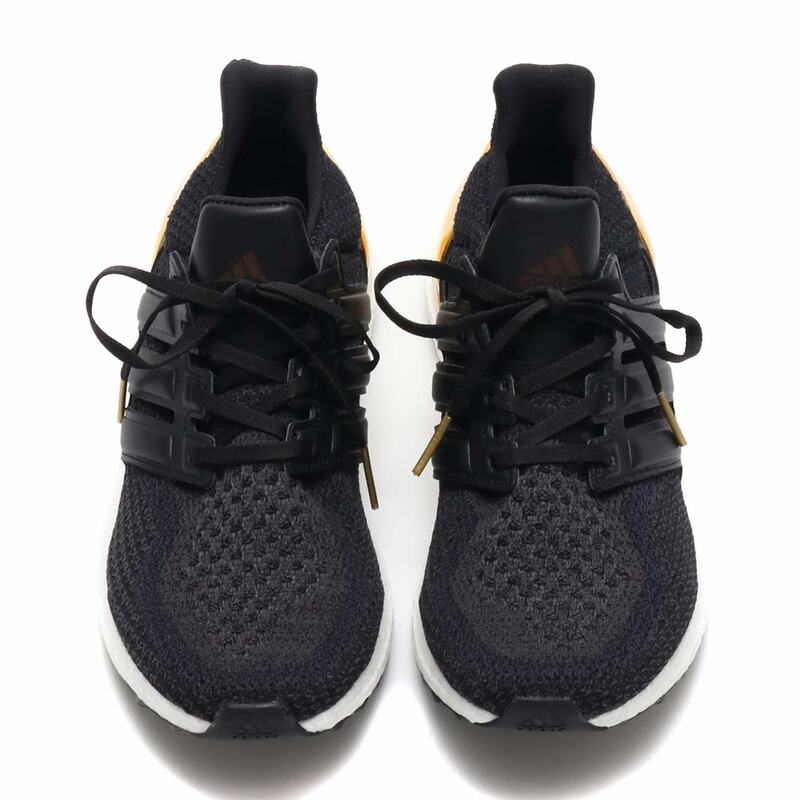 In its short but substantial history, the adidas Ultra Boost has released in a myriad of colors and received many a special make-up from the likes of Kith, Bape, and more — becoming beloved around the world for its iconic comfort and striking style in the process. 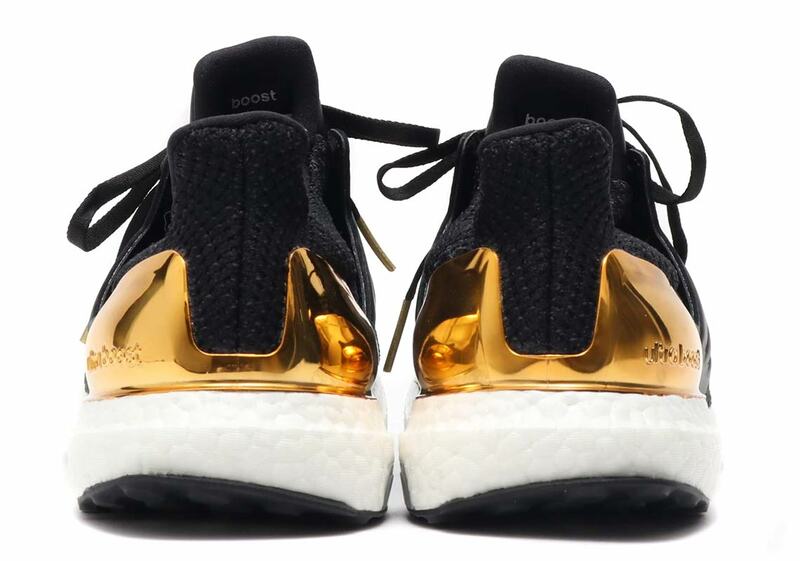 Since this summer the Three Stripes has brought back some fan favorites from the silhouette’s earlier days, and now the latest re-release to join the party is the “Gold Medal.” 1/3 of the “Medal Pack” that dropped in 2016, the “Gold Medal” earns its first-place standing with a large metallic gold heel counter and premium black leather midfoot cage/tongue, the latter of which features a lasered-on logo. 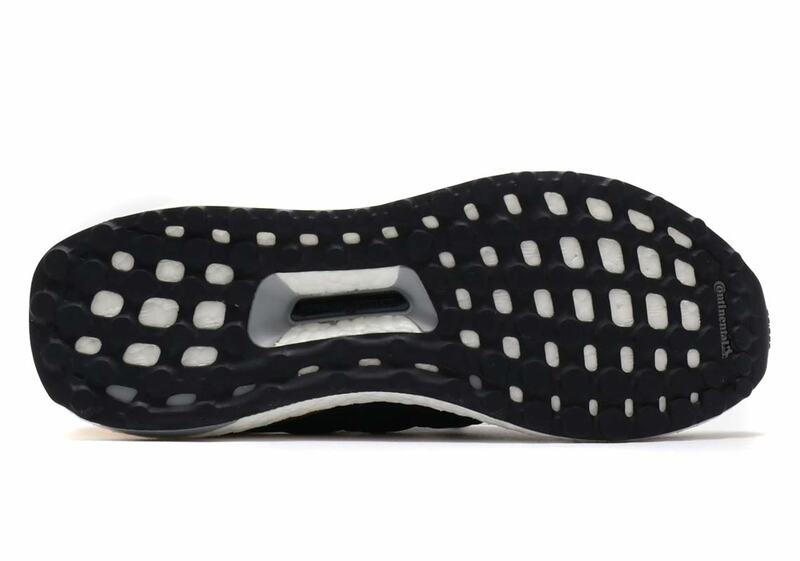 A black/grey Primeknit upper and white Boost midsole provide an understated base for the high-end accents, and a black Continental rubber outsole ensures a long last. 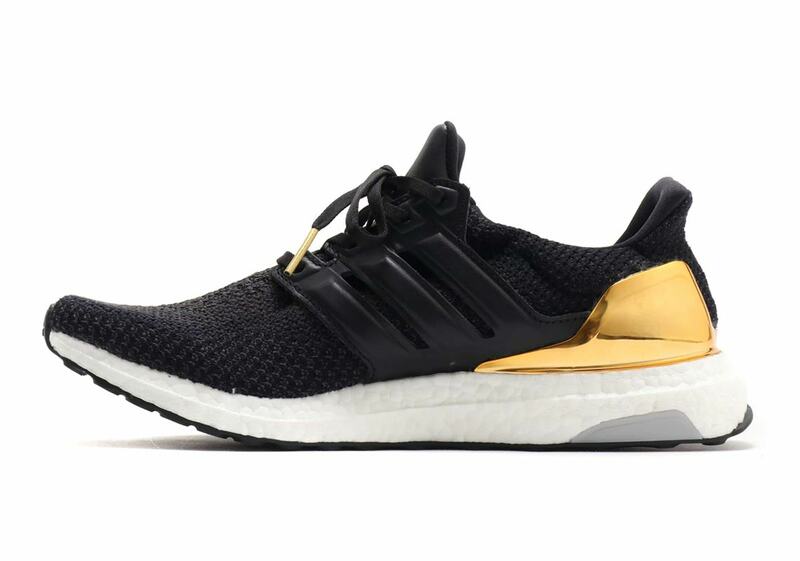 If you’re looking to go for gold again in 2018, these special adidas shoes will be dropping at atmos tomorrow — and you can expect them at other Trefoil Brand retailers soon as well. 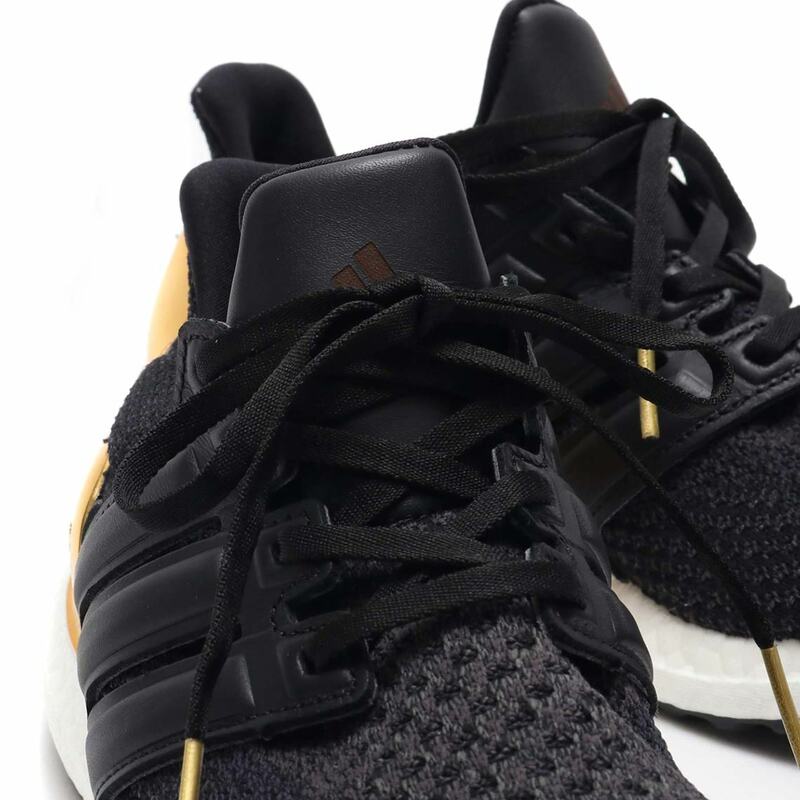 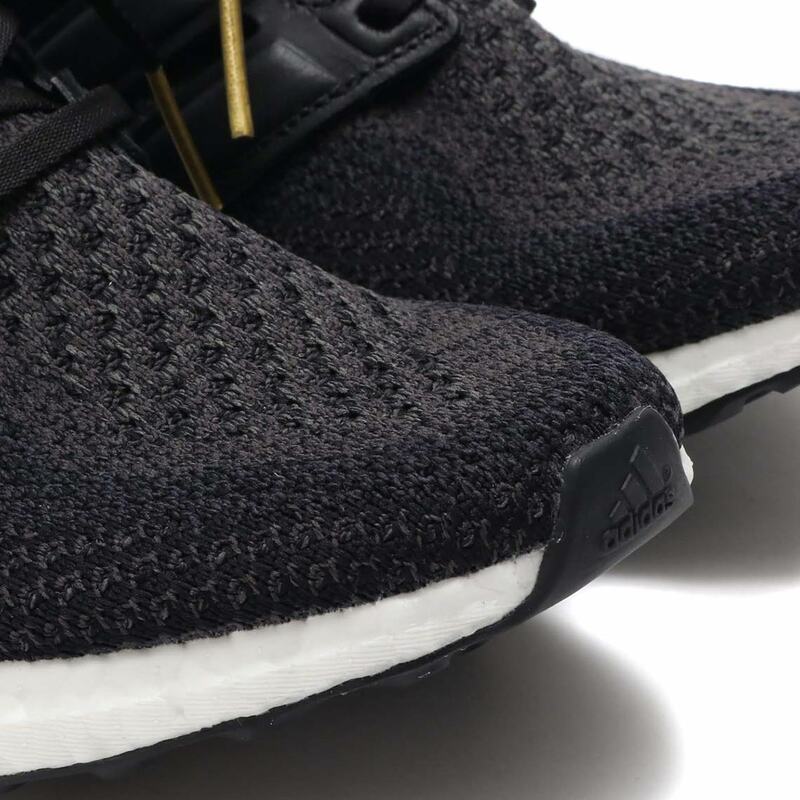 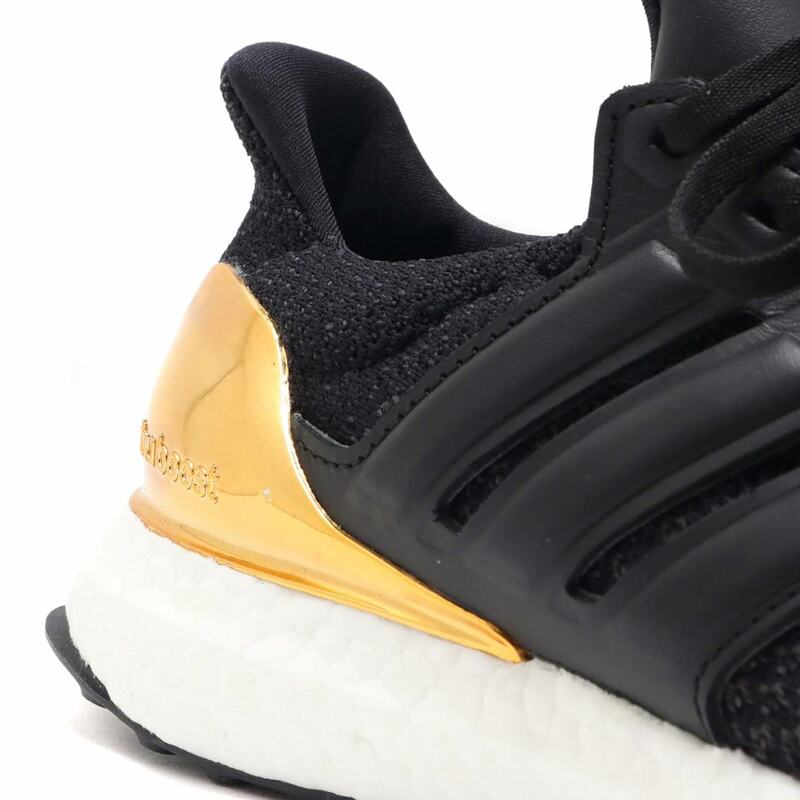 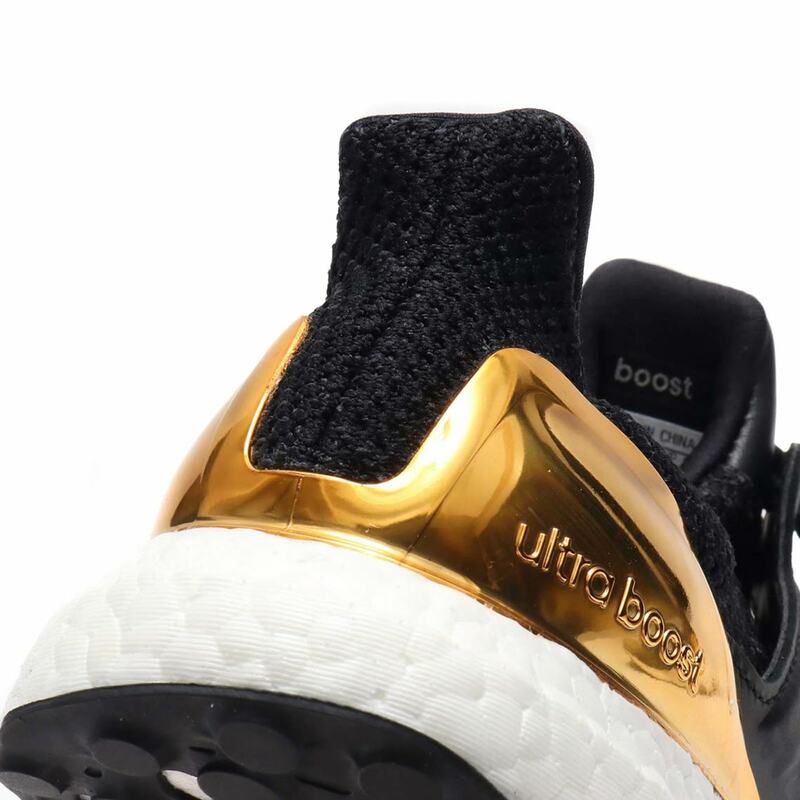 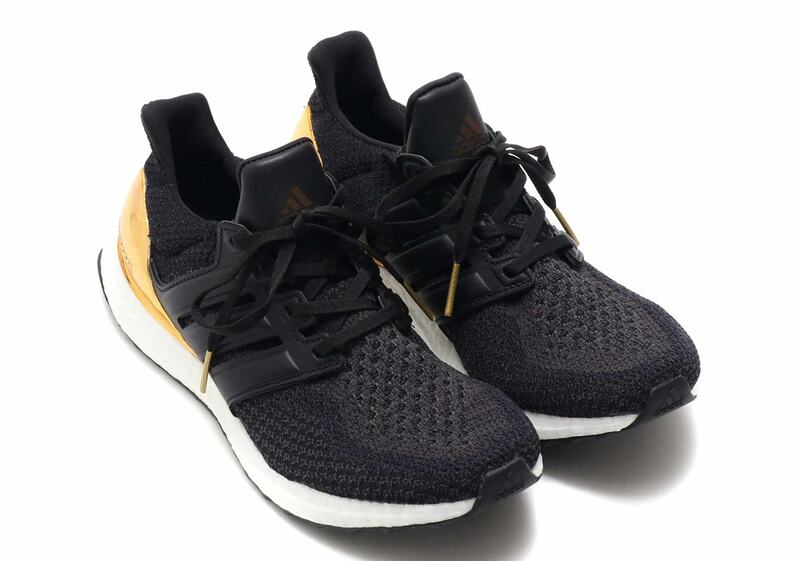 The post The adidas Ultra Boost “Gold Medal” Returns Tomorrow appeared first on Sneaker News.